For over twenty years, JAMBOX has been providing its clients with top rate recording and audio services. JAMBOX Entertainment’s current headquarters on Seventh Ave. in midtown Manhattan NYC. Whether you are a company with audio/voice-over needs, songwriter, musician, rapper, or aspiring producer, if you’re just looking for a great place in NYC for mixing and mastering your latest project, or even a hobbyist looking to get your feet wet in the industry, look no further, join our family and allow us to cater to you. We are dedicated you your project no matter how big or small. Ready for a thrill? Well at JAMBOX, we know how to make your music sound bigger, thicker, deeper, hotter, brighter, and phatter. JAMBOX’ corporate audio side caters to businesses, voiceovers, audiobooks, and interviews. We provide privacy, quality service, and a prime location for our clientele. For more than two decades (and counting!) we have been working with the best in the business creating quality music, and providing services to help to shape lifelong music based careers. Whether you’re large like UMG (Universal Music Group) or creating your first professional demo, We appreciate you and your business. Your project is always our priority. 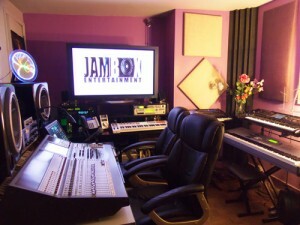 JAMBOX Recording Studios had it’s humble beginnings in the Sound View area of The Bronx. 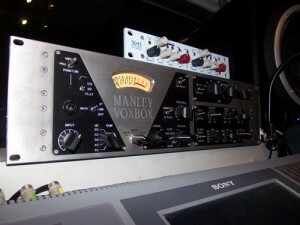 The company was started by Lee Evans in 1980 as a 4 track recording studio in a small 1 bedroom basement apartment. Says Evans about the origin of the studio’s name: “It was always tight and hot as heck down there. Guys would say it felt (and smelled) like a sweatbox but man… we used to jam!” The word about JAMBOX’s quality and abilities soon got around and started attracting many recording artists, indie labels and even a couple of majors. In 1989, JAMBOX Recording Studios relocated to the East Village and started to grow much more due to the new convenient location. Years later in 1998, JAMBOX outgrew it’s current location and relocated to midtown Manhattan, expanding into a three room recording facility and broadening its services, officially becoming JAMBOX Entertainment. Today, JAMBOX’s client list is in the thousands. We worked with many labels, companies and artists, and have over 30 years of experience beneath the belt. JAMBOX Entertainment is a music company located in midtown Manhattan, New York City that functions primarily as a recording studio and music production and service company. 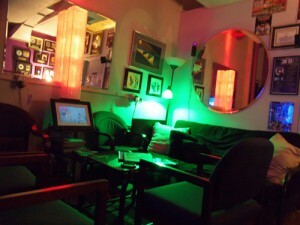 Located in a three room recording facility on 352 Seventh Avenue, JAMBOX is co-owned by Lee Evans and Cathy Palmisano. It is known locally for recording and producing many notable New York and New Jersey based artists, such as the Naked Cowboy and Lori Michaels. JAMBOX Entertainment is a music entertainment company offering a variety of unique music and audio services. Our customers range from amateurs to music professionals, hobbyists to music lovers, with musical tastes ranging from mainstream to the eclectic. Our mission is to be the top multi-service music provider and entertainment company in our field, by offering professional services at competitive prices with excellent customer service. We cater to all levels, from beginner to pro, young to old. We work diligently to create a memorable and warm, family-like, recording experience as well as a top quality end product for our customer. 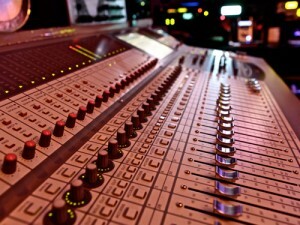 We also strive to provide a one-stop shop that can take a song idea from conception to final master and beyond. JAMBOX is much more than a recording studio. We’ve judged NYC’s Karaoke Idol 2 years in a row, have had over 10 of our staff, clients and friends, on reality music shows such as NBC’s The Voice, American Idol and America’s Got Talent, and have given numerous showcases and live events. We at JAMBOX are givers and teachers by nature. On our philanthropic side, we donate our services to special and unique causes. Included under our umbrella is our 501c3 non-profit organization ‘Reach Out Inc’ dedicated to helping children to make wise choices in life and educating against drugs, violence bullying, and promoting the awareness of Aids. JAMBOX Entertainment will continue to be involved in community events, and educating and developing today’s talented youth. 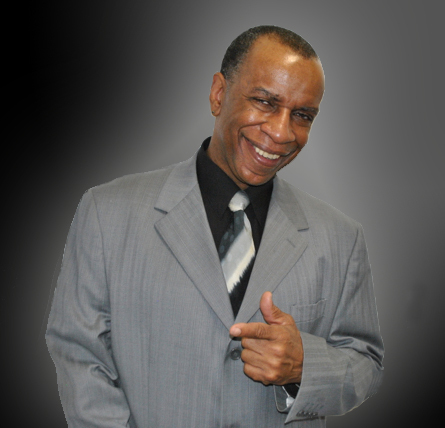 Lee Evans is a Gold Album/award winning Producer/Songwriter/Engineer/Musician and a long time veteran of the music industry. With over 30 years background in the music industry, starting as a child, Lee Evans wrote, arranged, played piano and sang for young harmony group “The Fourth Edition” a group that went on to win amateur night at the Apollo a whopping 6 times, sharing the stage with the likes of Michael Jackson, James Brown, and other legends. After attending such notable schools as “The High School Of Music & Art (NYC)” Lee Evans set out on his musical life journey. As a keyboardist, Lee became a band member and musical director. In his early years he performed with many local bands and frequently led top recording with acts such as “The Jimmy Castor Bunch” “Brass Construction” The Force MDs, “New Edition” “Afrikaa Bambaataa”, “Willie Colon” “Johnny Gill” “Kleer” “Bionic Boogie” “Joe Simon” “The Coasters”. On the local scene he did a stint as the house band keyboard player. Here he backed up such notable artists like Johnny Kemp, Me’lissa Morgan, and Keith Sweat. 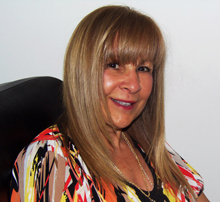 Lee Evans started JAMBOX Entertainment in the Bronx in the ’80s but inc’d it in 1992 with co’owner Cathy Palmisano. In 1989, He co-founded 501C3 non profit org. “Reach Out Inc” along with President Lori Michaels, and Executive Director Cathy Palmisano. Mr Evans became Musical Director. Reach Out Inc.s name is derived from a song called “Reach Out” written and produced by Lee Evans. See Our Full List Of Over 1,000 Clients!